Sea Sports Belize - Welcome! and... Doing it with LOVE! Our trained professional staff will ensure that you have a memorable day in Belize whether you choose to explore our magnificent coral reefs on the Belize Barrier Reef or exciting inland attractions in our lush jungles. You'll learn why Belize is such a special place made up of diverse cultures, ecosystems and wildlife; the true Belize. Our motto "We do it with LOVE!" stems from the fact that we love what we do! Please visit our TOURS department online for details on the trips we offer, give us a call to discuss your trip, or EMAIL US with any questions. Once you are ready to book we'll respond quickly with details on how you can confirm your trip. Looking for something else you don't see on our website? Please ​CONTACT US and we'll try our very best to make it happen! ​Have been diving since 1982 and am divemaster—have seen some gorgeous spots over the years but Belize ranks right up there! SeaSports was awesome with accommodations and transportation! We are definitely going back to explore even more! Thank you so much DM Jose & Cpt Paul and also the awesome team for the Hol Chan Marine reserve dive. I was so glad that we booked through Sea Sports! I am surprised that the ship did not offer any scuba excursions, and even more surprised that they were not using Sea Sports as their contractor. I was thoroughly impressed with the organization of the shop, the friendliness, and how easy it was to get there. We did two dives with Jose and Paul - and both were friendly, knowledgeable, and eager to show you the area. I would dive with Sea Sports again in an instant! 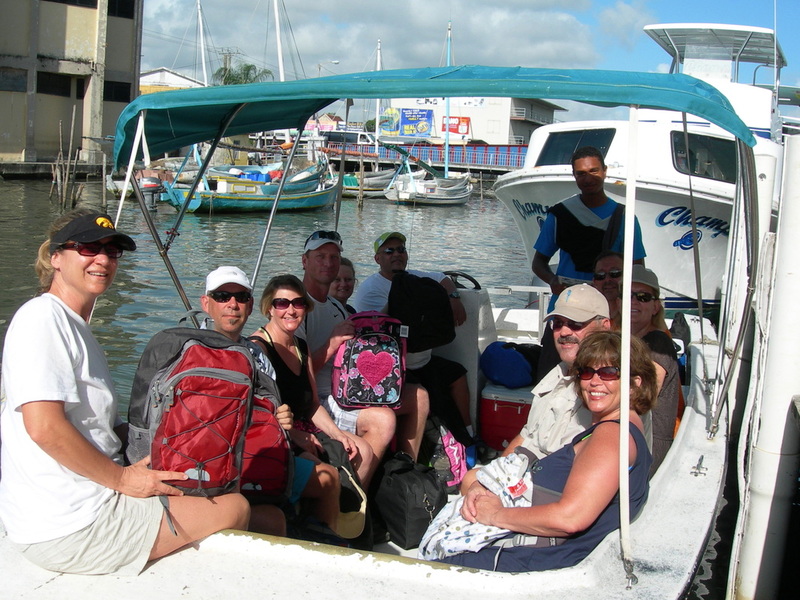 Sea Sports Belize has been operating out of Belize City for more than two decades! We are ideally located in central Belize so you can visit the world famous dive sites and explore inland Belize as optional days at the end of your dive trip! We have packages available for as few as 3 nights and also offer scuba instruction and snorkeling/non diving options for your friends and family. Please visit our PACKAGES page for complete details and EMAIL US for more details! We are dealers for major equipment manufacturers including Aqualung, Cressi, Mares, Scubapro, Sherwood and more. Our sales floor is stocked with a wide variety of equipment for snorkeling and scuba diving including: masks, fins, rash guards and wetsuits, BCs, regulators, dive computers, and flashlights. We also have an extensive selection of PADI & DAN materials and the Reef Fish, Coral & Creatures series. Our trained technicians offer equipment repair and annual servicing of scuba gear. Our staff are qualified repair technicians for Aqualung, Beuchat, Cressi, Mares, Oceanic, Scubapro and Sherwood. Sea Sports Belize is the only Mares Authorized Service Center and the only PSI/PCI Premier Facility in Belize. 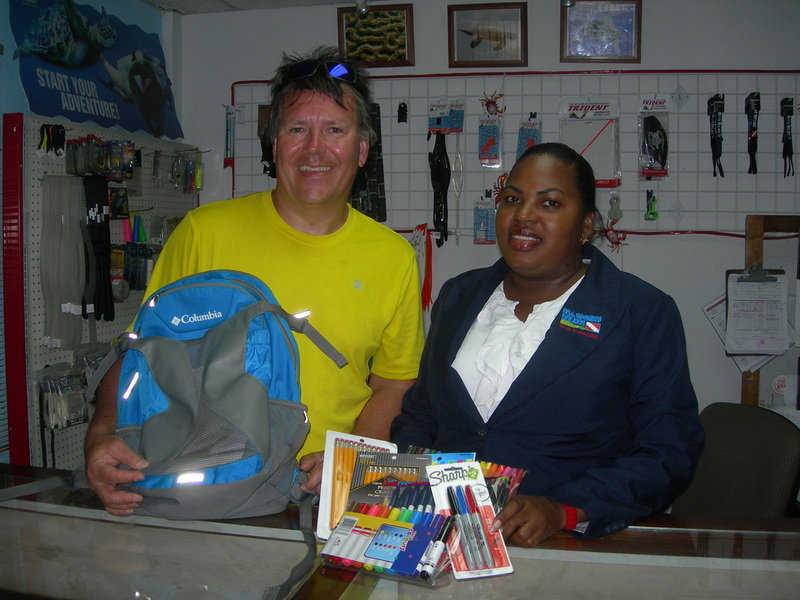 Sea Sports Belize has been a DAN Business Member for more than a decade. Diver's Alert Network is a membership based, nonprofit scuba diving and safety association dedicated to scuba diving safety. Not a member? Sign up today, it's the best investment a diver can make! The best investment a diver can make, many plans available for less than $100/year! DAN offers affordable trip insurance. Be sure to check out their options before going on your next trip! After becoming certified, sign up for a DAN course. Student and Instructor Courses are available! If you're conducting your Open Water training with Sea Sports Belize, you'll be covered by DAN! There is always a need for something here in Belize. After hurricanes pass through we receive requests from our guests about how they might be able to help out. 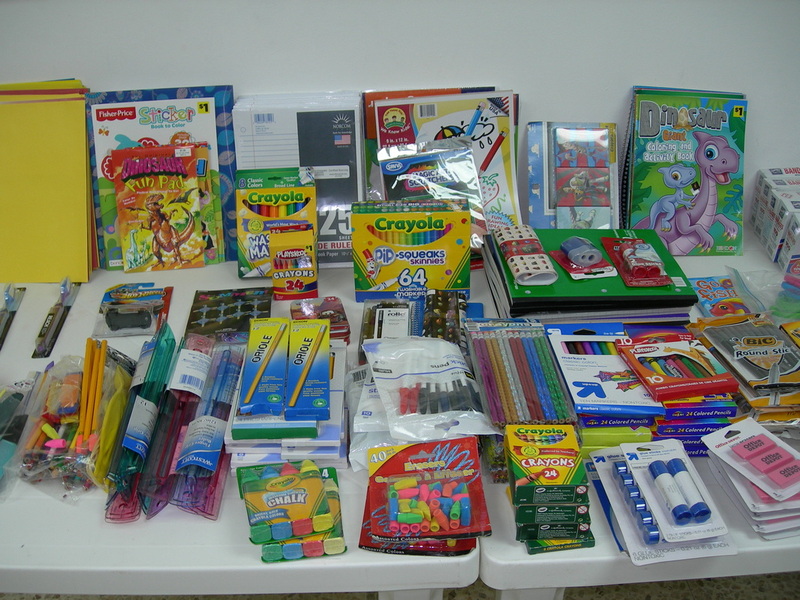 But in Belize help is needed to provide basic school supplies year-round. In order to help out families that cannot afford these supplies we collect supplies and distribute them to needy students. Items include back packs, notebooks, pens, pencils, crayons, rulers, calculators, coloring books, glue sticks, and also items for teachers. If you decide to bring supplies, please include a postcard or children's section from your local newspaper from your hometown so we can include this with the donation to the school and they can also learn about geography. Backpacks and supplies donated by a group of snorkelers will be very well received. Assortment of supplies donated. We always need more backpacks! Thank you for donating the backpack with school supplies! 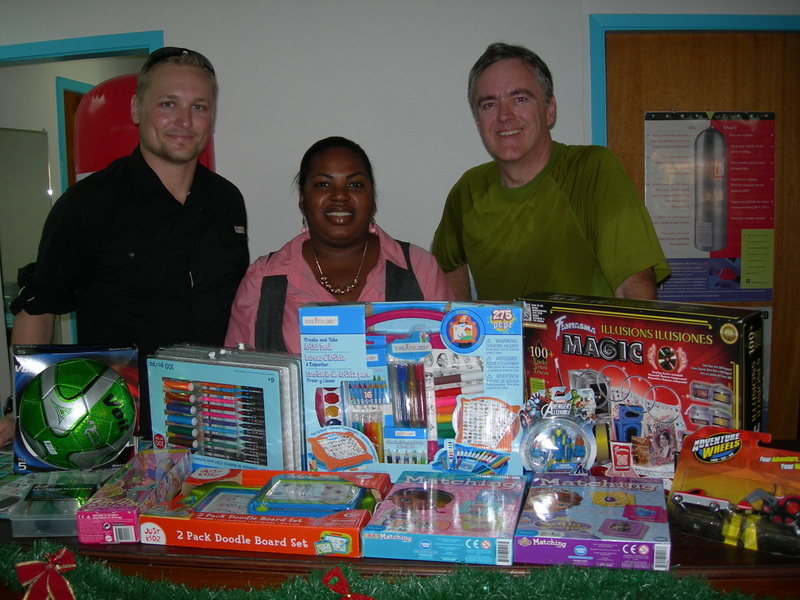 Thank you Brendon and Glenn for bringing all these toys for Christmas. You will make some children very happy this Christmas!